Hear an audio clip of the author reading an expert from his book, Nebulae: A Backyard Cosmography, here. LETTERS TO THE EDITOR We welcome your comments! 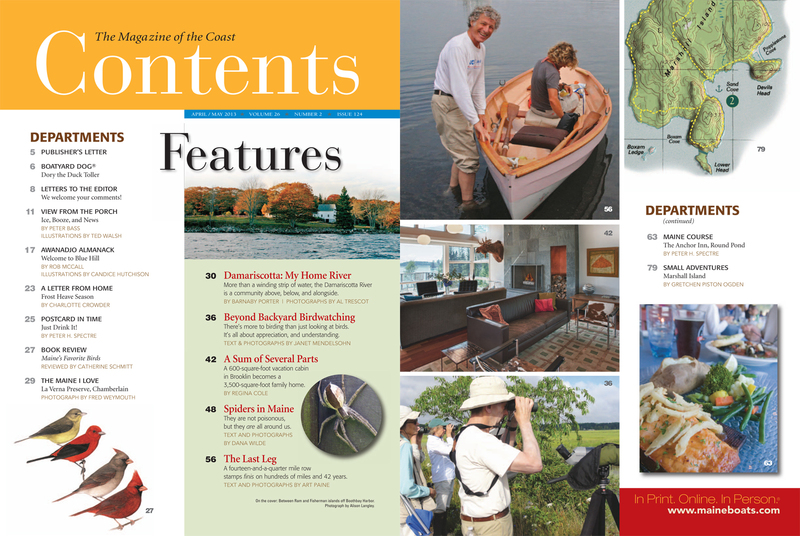 On the cover: Between Ram and Fisherman islands off Boothbay Harbor. Photograph by Alison Langley.